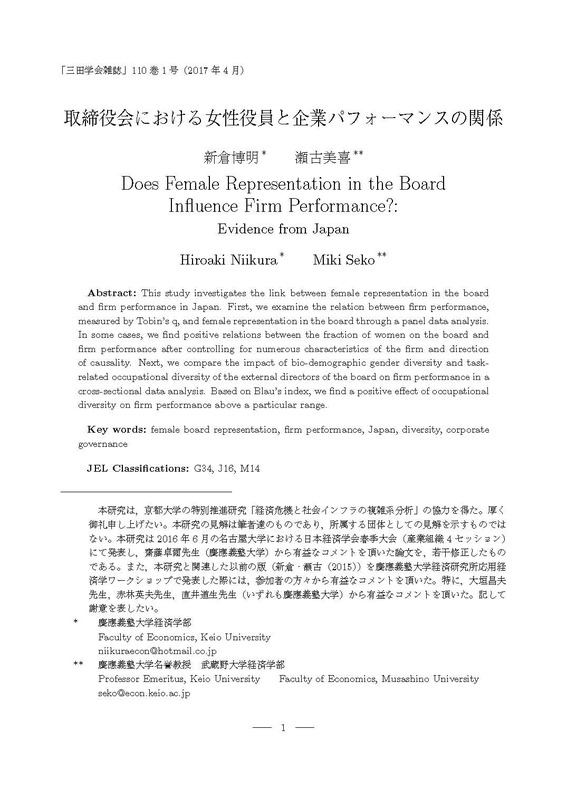 This study investigates the link between female representation in the board and firm performance in Japan. First, we examine the relation between firm performance, measured by Tobin's q, and female representation in the board through a panel data analysis. In some cases, we find positive relations between the fraction of women on the board and firm performance after controlling for numerous characteristics of the firm and direction of causality. Next, we compare the impact of bio-demographic gender diversity and taskrelated occupational diversity of the external directors of the board on firm performance in a cross-sectional data analysis. Based on Blau's index, we find a positive effect of occupational diversity on firm performance above a particular range.